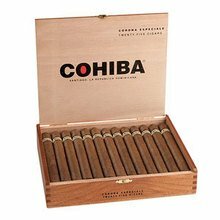 The Cohiba Robusto 10-pack is one of the most popular sizes among cigar enthusiasts, especially those who enjoy the lavish medium-bodied flavors that this legendary brand has to offer. Wow all these good reviews and I must have got a lemon. Nice taste but a very fragile wrapper! Also stems the size of a #2 pencil lead. Considering the price I expected much, much more! I think the Romeo y Julietta 1875 in this size is a much, much better cigar. Not only in taste but also construction. I bought the 10 pack from JR and the wrapper completely busts apart on every other one. I’m beginning to think the “specials” are how they rid themselves of their subpar or mishandled inventory as I’ve never had a Cohiba this poor. I'm only into my second month of smoking and have tried several JR samplers. Now I only buy the ones with this Robusto. They recently had 10 on sale for $69. I should have bought 100 of them. LOVE THIS STICK! I concur with Daddydale52 review, 100%. You don't expect from a cigar of this highly regarded reputation to have 4 of 10 with toothpick sized stem poking your lips at the cap. 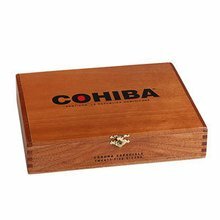 I do enjoy COHIBA cigars and pickup a pack or two when in special. I keep them in my humidor for a couple of weeks before smoking and have had very few issues. Great smoke with a good bourbon! Nice and smooth cigar. Love the sale price when its available. I ordered these by mistake - but figured I would give them a try. Robusto too strong for my taste - I have 9 in reserve for quests. I'm back to my Cohiba Corona's. These particular cigars were dry when received and fell apart when smoked. Usually love Cohiba but these disappointed. 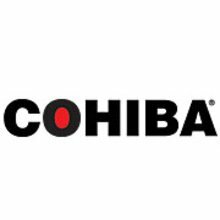 Cohiba red dot (Dominican) robusto, bundle. Put two bundles in the humidor and smoked other cigars for a week or two. I think it makes a difference. Excellent, wonderful, smokes. No bad ones. Nice size for winter. Will buy the bundles whenever they are offered. Simply delicious. Hey, it's a Cohiba. No issues with any of mine, so far. Fantastic cigar. Starts out strong but mellows out slightly with some great transitional flavors. Definitely savor this one. I'm a fan of Cohiba. Like em all Cept maybe blue label. Whenever JR has a special that makes them affordable I'm on it. Good smokes for the price I paid.